AFRICAN AMERICAN REPORTS: Terkessa Wallace and Shequenia Burnett are missing! Terkessa Wallace and Shequenia Burnett are missing! 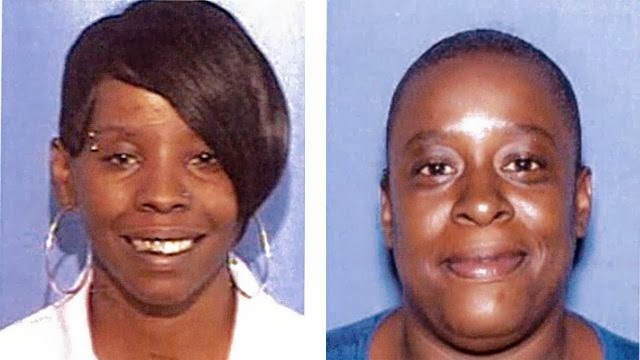 The families of two missing North Little Rock women are still looking for answers to what happened to their loved ones. Terkessa Wallace and Shequenia Burnett have not been seen since Jan. 10. The family has been canvassing central Arkansas, posting fliers in hopes that someone has seen these women or might know where they may be. On Monday, the North Little Rock Police Department (NLRPD) also was asking for help with this case, posting the women's pictures on its Facebook page. According to the NLRPD there is no new information and there are no leads at this time. If you know where Wallace and Burnett may be, call the NLRPD at (501) 771-1234. Click here to visit the NLRPD Facebook page for more information.